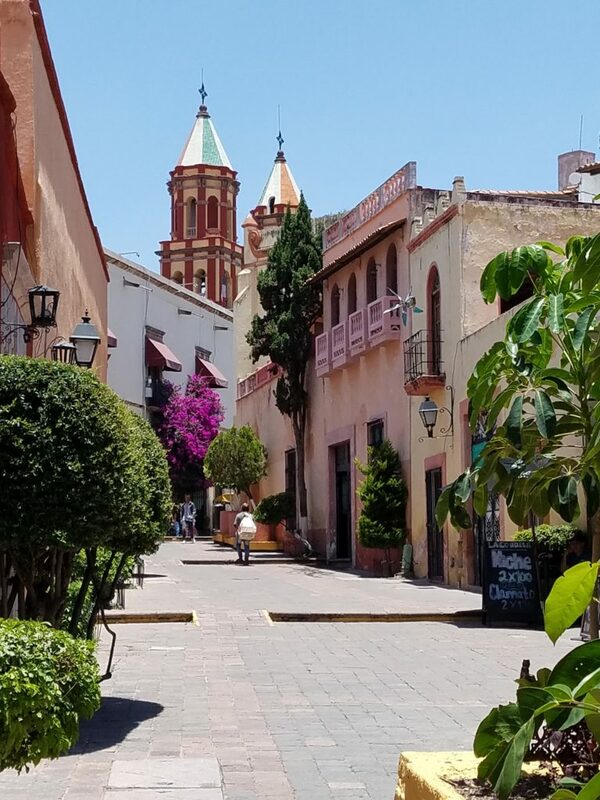 With all the amazing towns in Mexico, why did we choose to live in Querétaro? 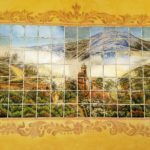 Most people have never heard of Querétaro. Honestly, up until 2 years ago, we hadn’t heard of it either. We did not want 10 months of heat like Florida. We wanted a more temperate area. According to Mexican law, foreigners cannot own a house within 50 kilometers of the coastline or 100 kilometers of the border. You can buy a house, but the bank technically owns it. We didn’t want to be with all Americans. The purpose of moving to another country is to embrace that country’s culture and people. We did want to be close to an airport and modern conveniences. We did want to experience the culture around us. We wanted more of an international community with good international food options. We wanted a safe area. Tom did a lot of research to find the “perfect” place. 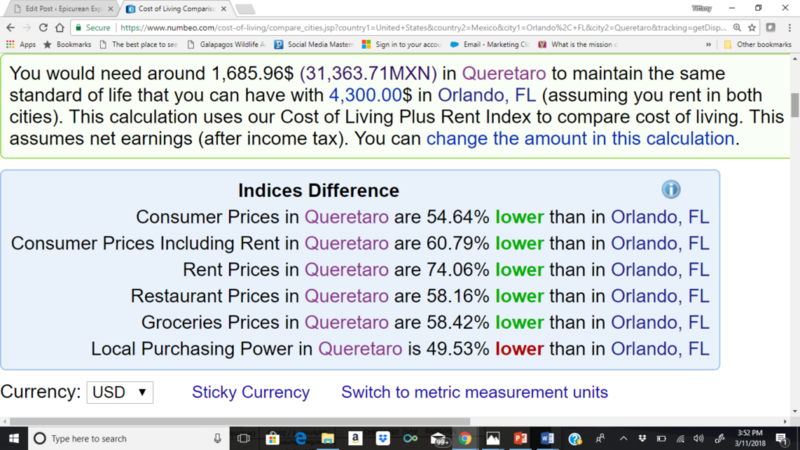 Using Numbeo.com, he compared housing costs, crime, and various other factors between many Mexican cities against Orlando. 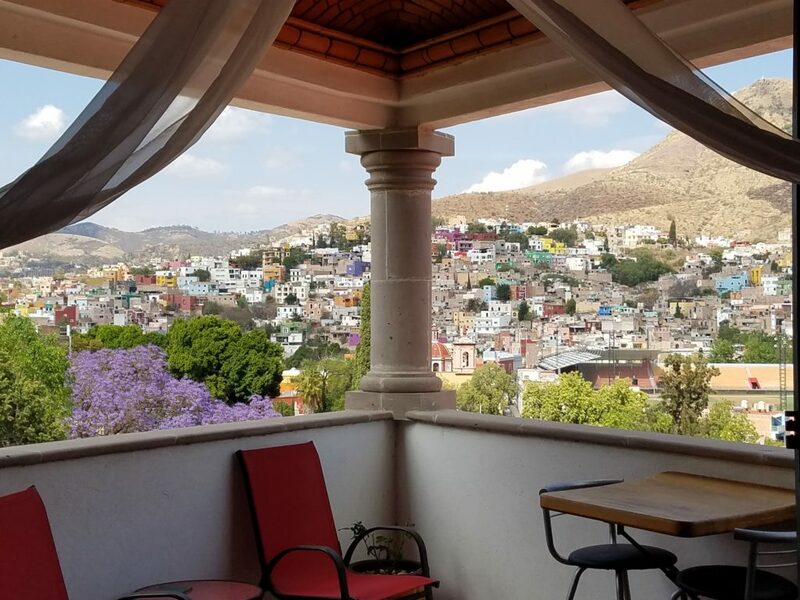 Querétaro’s cost of living and low crime came out as a top contender. Besides the internet research, we also spent a good part of last year exploring different areas within the Colonial Highlands of Mexico. A favorite community among artists, San Miguel de Allende has been advertising to Americans since the 1950s. It was beautiful, had some great restaurants and a wonderful artisan market and galleries. 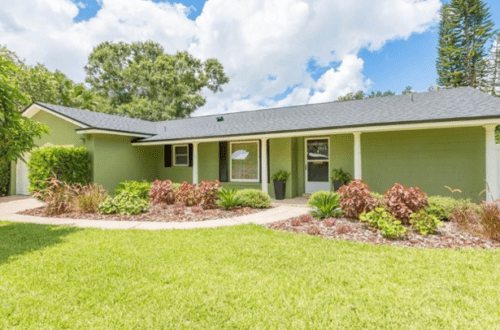 Unfortunately, the American population, mostly from California where real estate prices are astronomical, has raised the housing prices to an amount that was not affordable to us. 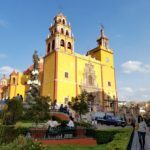 We instantly fell in love with Guanajuato as soon as we drove in. Situated in a valley between mountain peaks, it was mostly a walking street city. The old silver mine tunnels are used to move traffic around below the city and just outside the mountain range. This is an old university town, but real estate was very scarce. Most of the houses were passed down from family member to family member. A realtor showed us around a bit, but most of the houses available needed serious renovations. We would be playing the waiting game to find anything available, ready to live in and for a price we could afford. Querétaro we found out, is having exponential growth in international business. Many Asian and European companies have built or are building their Latin American headquarters in Querétaro. Samsung, Nestle and Bombardier are just a few of the big international companies here. The per capita income in Querétaro is just behind Monterrey and Mexico City. 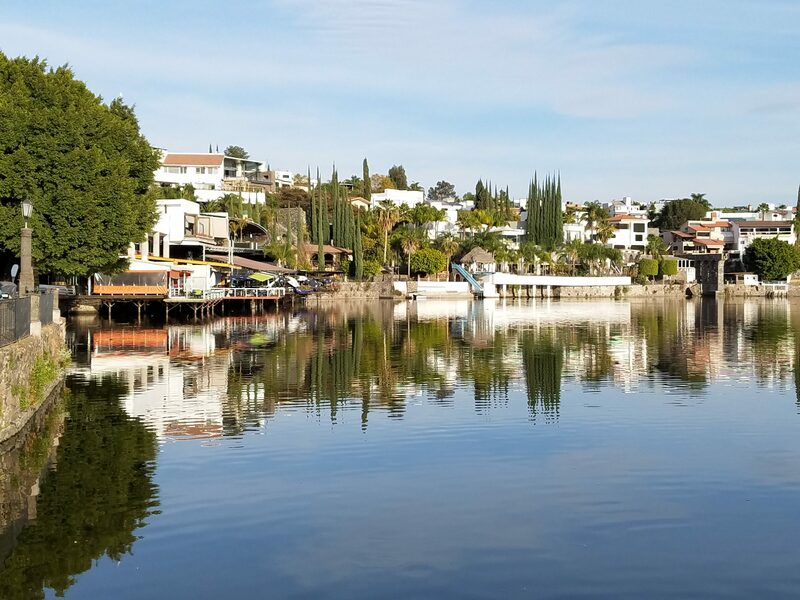 The city is growing fast, businesses are moving in or expanding, and it has all the modern conveniences you could want including an airport (QRO). Still, there is a beautiful historic area where the city just comes alive, and many pueblo magicos nearby for day trips or overnight stays. We decided we didn’t want to live directly in the city and deal with traffic (similar to Orlando’s). So we chose to live north of the city in a residential area called Juriquilla. We have plenty of restaurant choices, small mom & pop stores and even a large mall. We are 5 minutes from a real Mexican town, Santa Rosa Jaurengui, and less than 30 minutes from historic Querétaro. 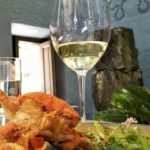 Plus, we are 45 minutes away from San Miguel de Allende with its beautiful architecture, and just over an hour away from Tequisquipan with it’s cute little wine bars. Even with all the new growth, housing prices are still very reasonable. In Querétaro we have great weather where it’s cool in the mornings and evenings. We are close to conveniences and historical areas. We can afford to live here on less money. And we have choices when it comes to restaurants and food because of the international influences. What factors should you consider when moving overseas? Check out tomorrow’s post! Wonderful post! Wish we had done more research. So glad to have you and Tom as resources! We can be there for each other! Hi Rody! There’s plenty of great neighborhoods being built right now in Queretaro. I live in Juriquilla which is north of the Queretaro and away from the city traffic. It’s a residential area with shopping plazas and close to local markets. 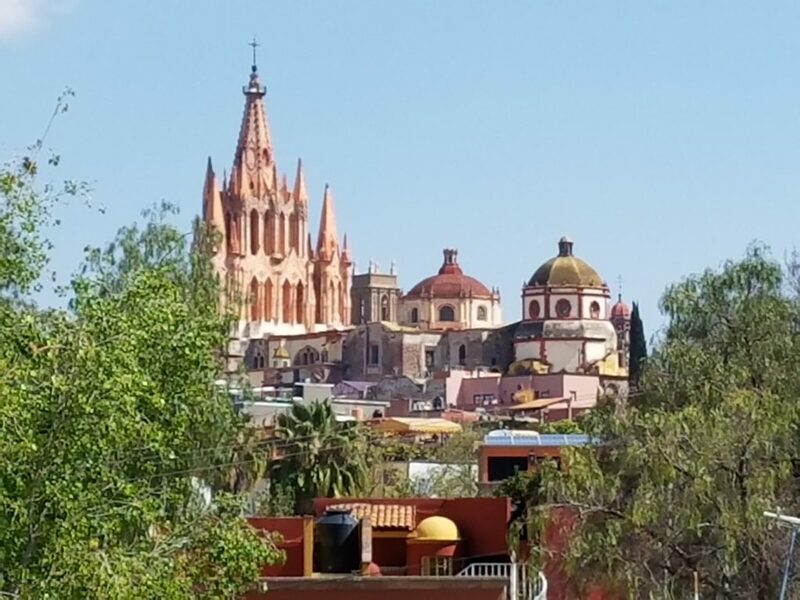 It’s also easy to hop on and off the highway to visit many of the smaller artsy towns like San Miguel de Allende. I also have friends who live in ElRugio. This is a a more self contained community with restaurants and service shops in a residential area. Both places are about equal distance to the downtown area (about 25 minutes). We haven’t explored the south part of Queretaro because we really enjoy the mountains where we live. Tequisquipan is a cute little town about an hour away in the middle of vineyards and farmland. This is a great place if you don’t want city life. Hey there! I’m mexican and live in Querétaro as well, and I really enjoyed some of your post (haven’t read them all yet). Saw one of your tweets the other day and following all the way found all your adventures here. For me, always has been interesting to see how people from other countries see and discover our culture and us as mexicans and now, with all your post, is even more interesting for me to find out how you guys decided to adapt and embrace a whole new live in Mexico (knowing that here you won’t have all the commodities that you could have there). 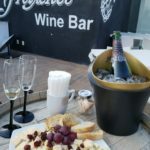 In any case: greetings and welcome to Querétaro! Awesome post! We’re seriously thinking of moving there. The weather in North Carolina is very similar than Florida’s and we’re tired of it. Are there good options to work there as Americans? Do you know of American communities (or online groups)? Where we can discuss more about it? Hi Brenda! Thank you for the compliment! The Americans I know usually work as English teachers. We work on online businesses. There are higher percentages of Americans in San Miguel de Allende, Lake Chapala, Playa del Carmen, Cabo San Lucas and Puerta Vallarta. Queretaro is more international, and we haven’t run into very many Americans. 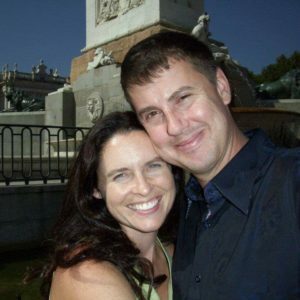 Expats.com has chat groups from the different communities. I will message you. Can you think of any soup-to-nuts resources? Health insurance, car insurance, utility costs, water quality, banking and money, etc…my wife is diabetic and health care would be a big concern. Healthcare is our next project we will be tackling. I will post something soon on our cost of living. What exactly is soup-to-nuts resources? I’ve never heard of that. A great article. Tom seems a very thorough researcher. 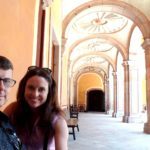 My wife and I are investigating retiring to Mexico, and have focused on Chapala and Guadalajara. But, now Querétaro looks like a great candidate. We’re going to put it on our initial visit list in April. A major concern is healthcare, and we look forward to seeing your post about that. Thanks for this article. We enjoyed reading a lot. I had the the delightful pleasure of visiting this beautiful city last weekend on a tour from Ajijic. 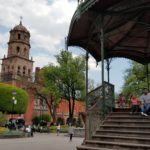 I’ve traveled extensively and seldom “fall in love” with a place but I really did when I roamed around Queretaro. I’m retired and considering moving there once I find out about health care, hospitals and assisted living. I’m in great health at the moment but have to think about down the line. Any possibility of finding more information on those issues? Hi Dori! I’m so glad you found Queretaro as charming as we did. We do plan on researching what type of healthcare we can get and need very soon. 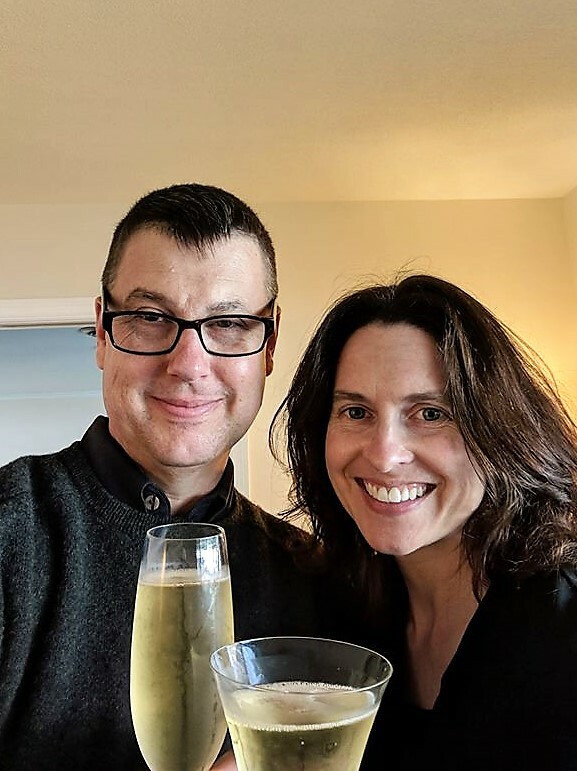 Luckily, we are both very healthy as well so we have not put it as a priority. But we definitely need to! I’ve had several requests, and we need to get on it. Thank you again for the reminder! Thanks for this., I’m planning a move myself. First 6 months SMA or Ajicic to park myself then explore Guanajuato, Queretaro or Morelia..
Qq.. did you get a permanent visa or temporary? I was told best to start with Temporsry so I can bring my car down while I decide to switch to perm. 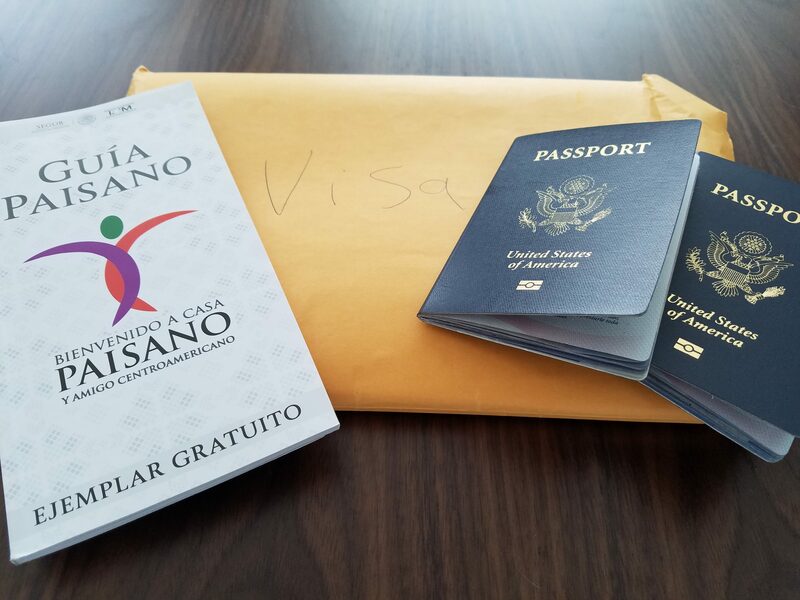 We started with a temporary visa because we did not meet the $$$ requirement. We are also located north of Queretaro so we have a view of the mountains but not the high prices of SMA. WHen are you coming down Mexico? Hi Tiffany! I loved this post! 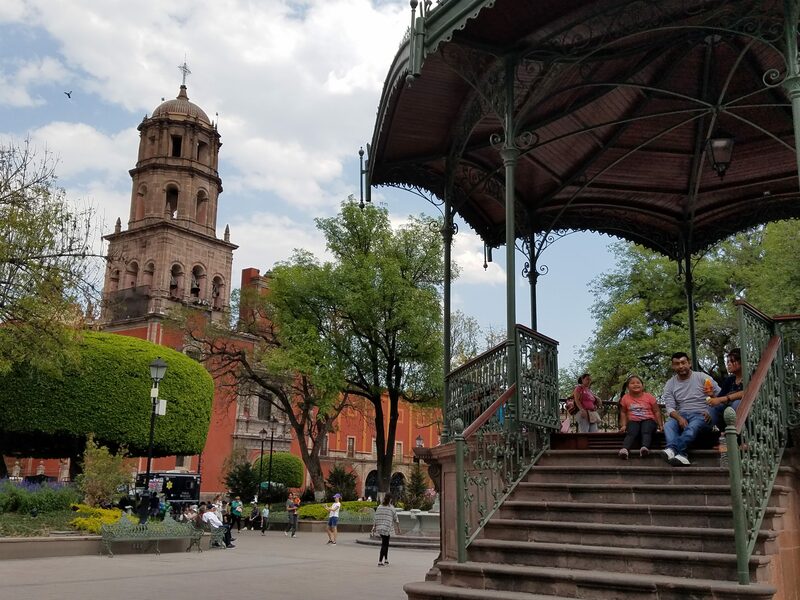 I have been exploring Juriquilla and Queretaro (Q) for a couple of years, but remotely. I first heard about Q when I was staying on the West Coast of Mex a couple of years back. I met a doctor – works with holistic medicine and ozone – who I began to study with who lives in Juriquilla and he loves it there… said it was “the bomb!” In the best sense of the word. I’m coming to visit Juri and Q this Jan, and also to get treatment for chronic pain, which might be useful for some of your readers to learn about. My question is this: is there much easily accessible nature in Juri? Doesn’t have to be pristine, but trees, not too much city noise, and clean, if possible. Have you had much experience with this? It would be nice if it were very close to Juri, but I can’t quite much if any info on the web on the non-touristy nature spots in the mountains or high desert. Any suggestions? Hi Stuart! Thank you for the writing compliment. You’ll have to tell me more about the holistic medicine part. We’ve noticed that we are healthier here just from getting outdoors more for exercise and less stress fromm work. Queretaro and Juriquilla are in a Central mountain plateau area so we have more of a dessert/scrub brush landscape. I’ll send you some pictures so you have a better idea.